This entry was posted in Computer, Murmuring, Network, Privacy, Security, Service, WWW and tagged authority, ca, certrificate, cross, dst, identrust, intermediate, isrg, letsencrypt, privacy, root, security, sign, sub, x1, x3, x4 on April 21, 2019 by Gea-Suan Lin. This entry was posted in Computer, Murmuring, Network, Privacy, Security, Service and tagged acme, automatic, ca, certificate, environment, ietf, letsencrypt, management, privacy, protocol, rfc, security, ssl, standard, standards, tls on March 12, 2019 by Gea-Suan Lin. This entry was posted in Computer, Murmuring, Network, Privacy, Security, Service, Social, Software, VPN and tagged android, app, ca, client, facebook, https, ios, law, legal, privacy, research, root, security, spy, vpn on January 30, 2019 by Gea-Suan Lin. This entry was posted in Computer, Murmuring, Network, Privacy, Security, Software, WWW and tagged ca, certificate, dev, environment, https, key, local, localhost, mkcert, privacy, root, security, tools, utility on January 9, 2019 by Gea-Suan Lin. This entry was posted in Computer, Murmuring, Network, Privacy, Security, WWW and tagged ca, certificate, cost, https, letsencrypt, pricing, privacy, saving, security, shopee, ssl, tls, wildcard on August 15, 2018 by Gea-Suan Lin. As of the end of July 2018, the Let’s Encrypt root, ISRG Root X1, is directly trusted by Microsoft products. 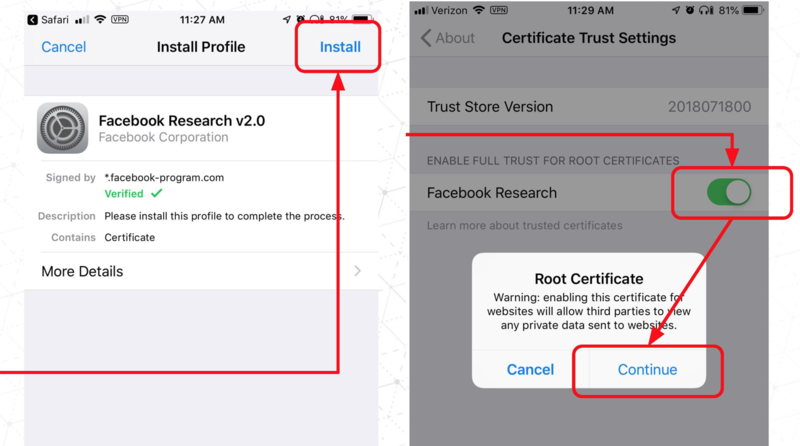 Our root is now trusted by all major root programs, including Microsoft, Google, Apple, Mozilla, Oracle, and Blackberry. This entry was posted in Browser, Computer, Murmuring, Network, Privacy, Security, Service, Software, WWW and tagged browser, ca, certificate, https, letsencrypt, privacy, root, ssl, tls on August 7, 2018 by Gea-Suan Lin. This entry was posted in Computer, Murmuring, Network, Security, WWW and tagged 2fa, appendix, authentication, authority, ballot, browser, ca, cab, certificate, factor, forum, microsoft, nist, nsa, password, security, two, u2f, webauthn on June 4, 2018 by Gea-Suan Lin. This entry was posted in Computer, Murmuring, Network, Privacy, Security, Service, WWW and tagged ca, certificate, chrome, devtools, google, https, letsencrypt, privacy, sct, security, ssl, tls, transparency on April 19, 2018 by Gea-Suan Lin. This entry was posted in Computer, Murmuring, Network, Security, WWW and tagged authority, ca, certificate, https, java, root, security, ssl, store, tls, trust, twca on April 6, 2018 by Gea-Suan Lin.